Just looked at Amazon.com to place my pre-order there and they have a picture for the set now. Jason, do you know if thats the actual picture of the slipcase or whatever? Not sure why I'm asking you since AU kind of tries to keep you out of everything now but I thought you might have an idea. If you believe that, I've got some Another Universe stock to sell you. anyone else order from Amazon notice this? anyone ask them why it says that? Before I submitted the order it was saying stuff about June 2003. I'm sure this has to be some mistake but I don't really understand it. Other than that I haven't received my email confirmation from them yet, usually it doesn't take very long(I order from them all the time). Not until you posted it. which is odd, to say the least. In the past I remember the estimated shipping dates from Amazon being a little screwy, but, well, mine's fixed now. I'd re-check your order status on the web page, though I bet you've already checked twice. If you do e-mail them, I'd be curious as to what they say. 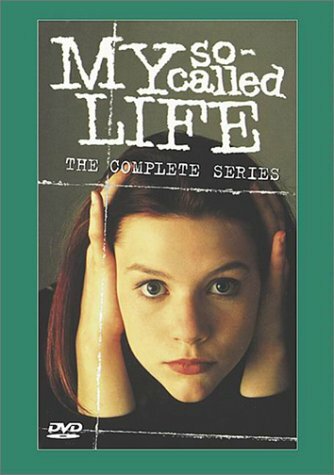 "MSCL, the Complete Series" instead of : "MSCL, the Complete Serie"
There is only 1 serie, no ??? I just realized that even thought I am French, my English is better than Seebee / Mattel / Etc... who appears to be English ( never said anything else ) !!! I've never seen/heard anything called a serie in my 19 years, so it must be series for a reason, but I don't really know..
Also, got my order confirmation and then moved my shipping to 2-day so I can get it quicker, the dates still had the June - November just the dates changed by a few days. I did email Amazon, and I expect that I will get a reply from them by tonight(it's like 3am). I'll post the reply here if it explains things. I just realized that even thought I am French, my English is better than Seebee / Mattel / Etc... who appears to be English ( never said anything else )!!! Very, very true. And quite sad, really. This whole MSCL fiasco has done something evil to my brain: I actually like the new Christina Aguilera single. Luckily I still think that what I've seen of the video is horribly stupid, but jeez. This whole thing is messed up. DrLemonBurn wrote: This whole MSCL fiasco has done something evil to my brain: I actually like the new Christina Aguilera single. Luckily I still think that what I've seen of the video is horribly stupid, but jeez. This whole thing is messed up. That video made ME feel dirty! Pornographic dirty! At least she's honest about what she's selling. Notice: 1 immediate reply (and not just some automated deal), 2 "thank you"s, 2 admissions of guilt, 1 appology, and 1 straightforward answer. Thanks for posting the cover.